Inspired by a profound experience swimming with wild dolphins off the coast of Maui, Susan Casey set out on a quest to learn everything she could about these creatures. 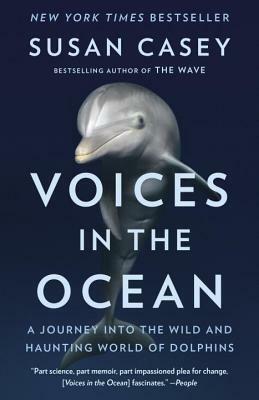 Her journey takes her from a community in Hawaii known as “Dolphinville,” where the animals are seen as the key to spiritual enlightenment, to the dark side of the human-cetacean relationship at marine parks and dolphin-hunting grounds in Japan and the Solomon Islands, to the island of Crete, where the Minoan civilization lived in harmony with dolphins, providing a millennia-old example of a more enlightened coexistence with the natural world. Along the way, Casey recounts the history of dolphin research and introduces us to the leading marine scientists and activists who have made it their life’s work to increase humans’ understanding and appreciation of the wonder of dolphins—the other intelligent life on the planet. Susan Casey, author of New York Times bestsellers The Wave and The Devil's Teeth: A True Story of Obsession and Survival Among America's Great White Sharks, is the former editor in chief of O, The Oprah Magazine. She is a National Magazine Award-winning journalist whose work has been featured in the Best American Science and Nature Writing, Best American Sports Writing, and Best American Magazine Writing anthologies; and has appeared in Esquire, Sports Illustrated, Fortune, Outside, and National Geographic. Casey lives in Maui.